Photo: I’m about to take a dip in the sea. Skinny Dipping in The South of France. I’ll tell you which are my favourite beaches. The best naturist beaches in the South of France. 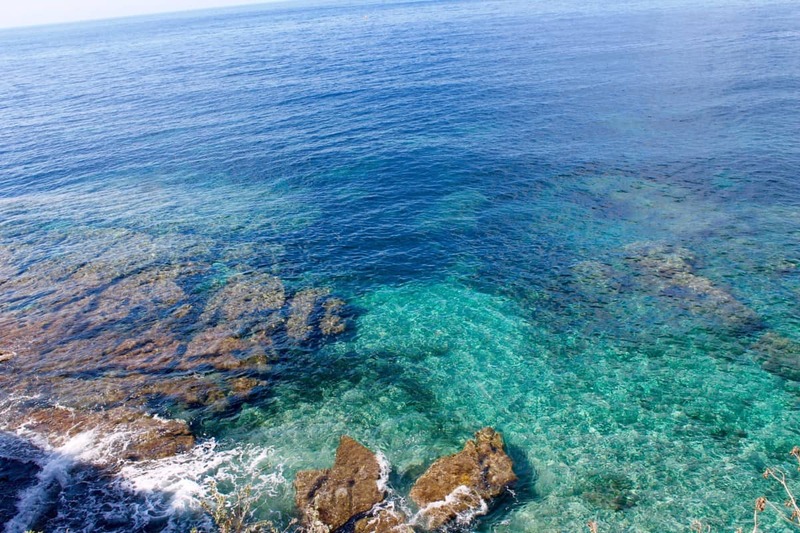 Who loves skinny dipping in the sea? Is there any better feeling than being at one with nature and stripping off on a hot day? I’m going to tell you about the best naturist beaches in the South of France and where to avoid. You have to be careful which beaches to visit in the South of France. There is a naturist beach in Eze but it is a beach mostly enjoyed by gay men. I would avoid this beach unless this is the kind of beach you like. Let me know if you have any beaches to add to this list! I would love to hear of new discoveries. 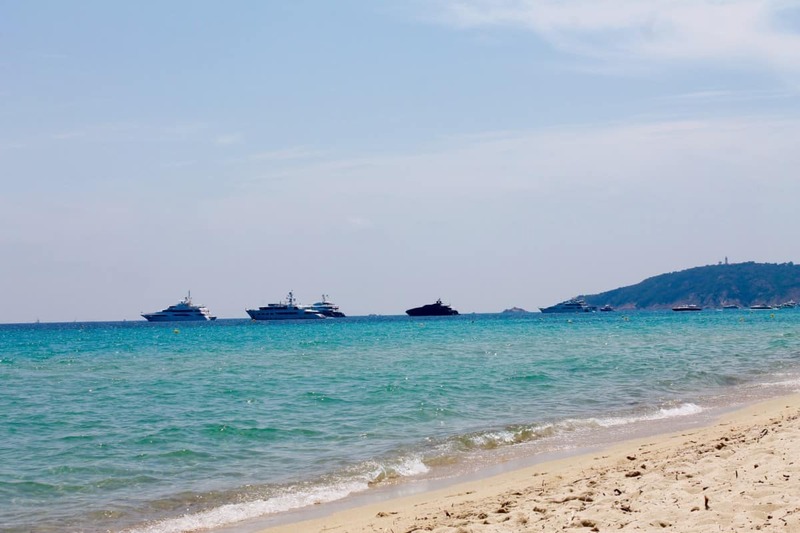 However, I love the naturist beach at Saint Tropez which is full of fellow naturists and you will not receive any unwelcome attention and it is not sleazy. All different nationalities and ages happily enjoying the sunshine in a totally natural way. This is my favourite beach and great restaurants too! 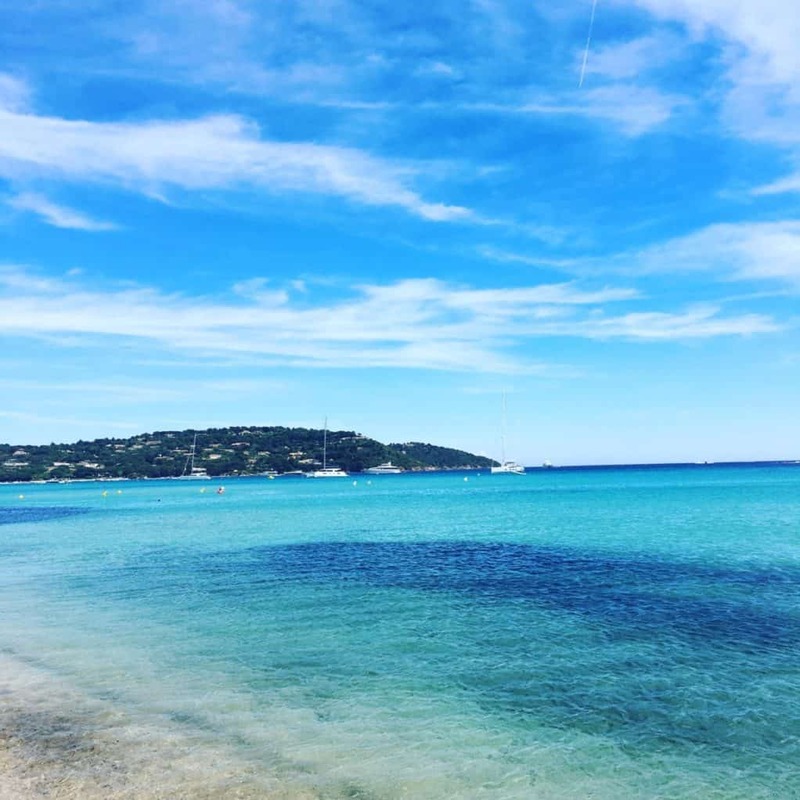 Follow the Ramutuelle coast road out of Saint Tropez for a few kilometres until you see a sign on the left for the beaches, turn left. Drive until you see the sign above and take the right turn. You will come to a huge car park which costs 4.50 euros for the day. Park your car and walk straight onto the beach, it is flat and just a few metres away. 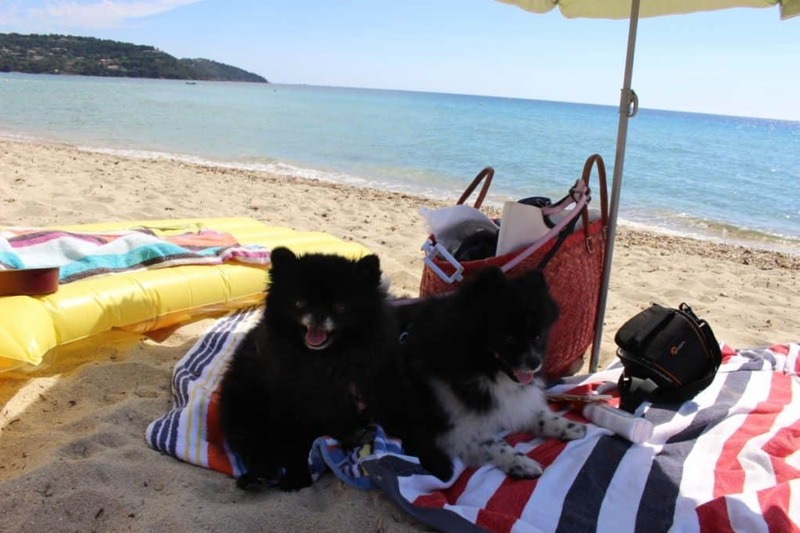 The beach is allows dogs on leads, so Freddie and Zarya love to visit too! They wonderful thing is that there is a lovely mix of naturists, families picnicking and clothed sunbathers so there is a lovely, cool atmosphere and it is very laid back. 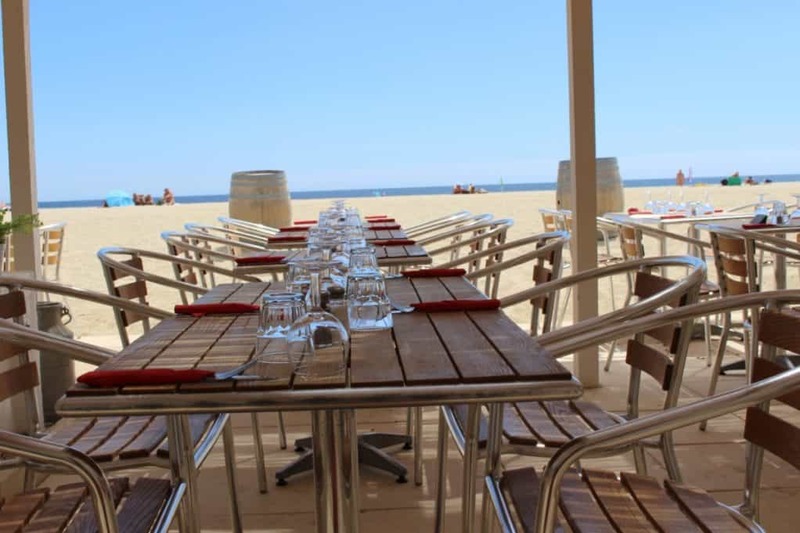 Take your pick from several little beach cafes and restaurants along this stretch of beach. The water is sparkling, clean and very beautiful in the Baie. 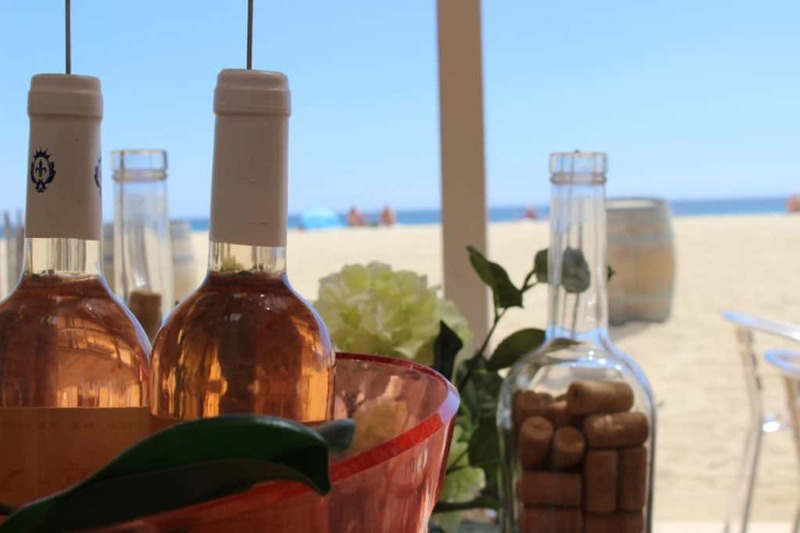 Then you can have lunch right on the beach at a sweet little beach shack restaurant called Yape. Might just see you there! Another favourite spot is on the road between Theoule sur Mer and Agay. 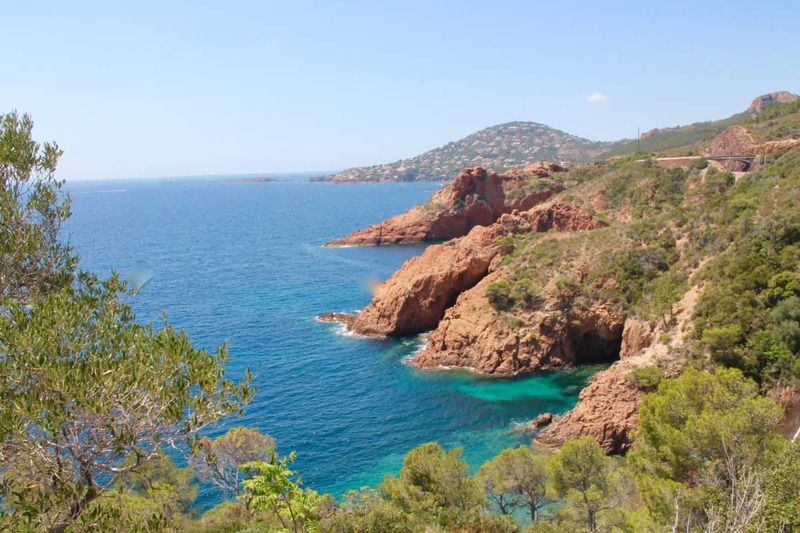 This is the most stunning coastline with gorgeous little coves amongst the red rock of l’Esterel, drive along and take your pick of beaches that will not be crowded even in high season. This is because of the accessibility. 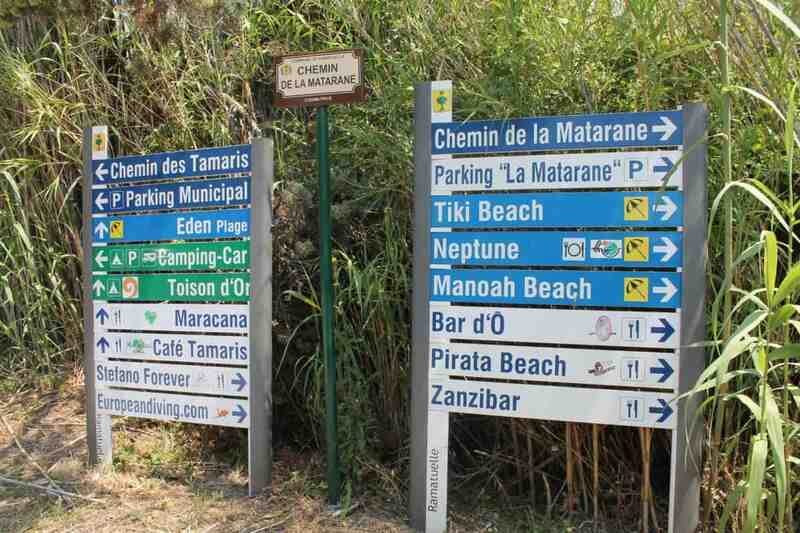 You will need a car or get on a bus at Theoule sur Mer. The beach is a little tricky to find. 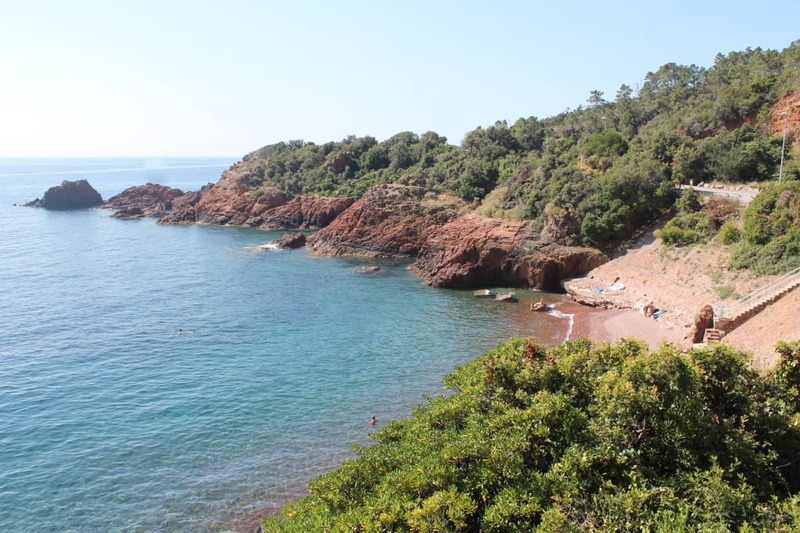 It is Cap Roux Naturist Beach, Route de Trays, 83700 Saint Raphael – Agay. 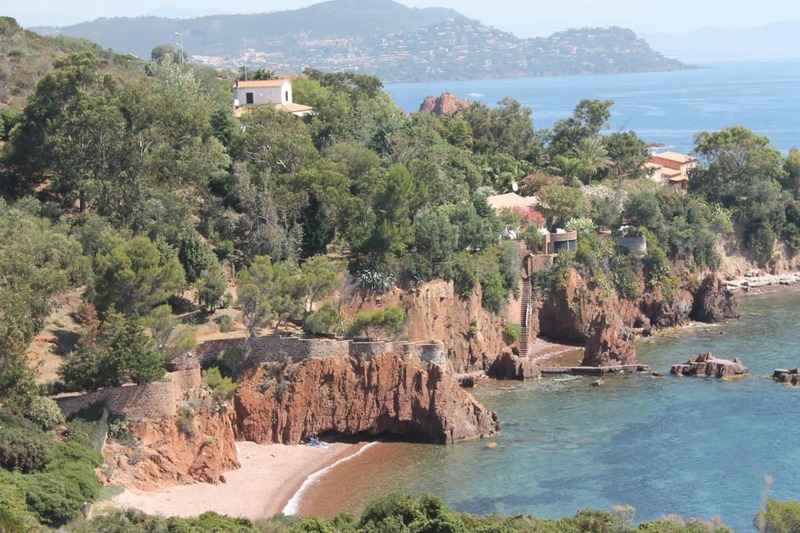 Park at Cap Roux car park and walk along the road until Villa Dani bust and you will see the steps down to the beach. Empty beach even in July! If you do not like the idea of a naturist beach, there are countless little beaches and coves all along this stretch of coast road. Look out for the blue signs and steps down to the beaches. My Favourite Naturist Beach ever? The small island of Formentera near Ibiza has the best, most beautiful naturist beaches!